I took a couple winter water shots today and thought I would share. This winter has been brutal compared to previous years, I’m a little afraid to see what plants didn’t survive the sustained cold. I suspect my crepe myrtle and Boston Ivy have both suffered. Although BOSTON Ivy should be used to long, cold winters, right? Ha. What’s in a name anyway? 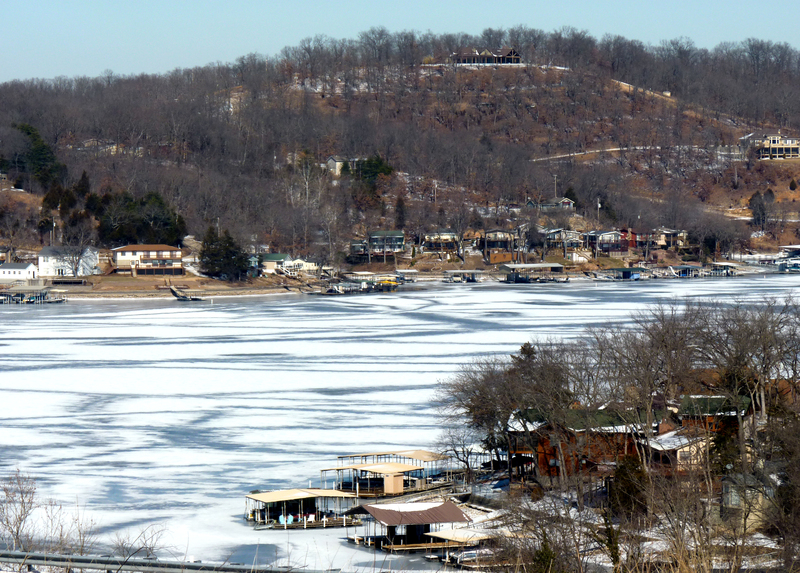 I haven’t seen the main channel of the Lake of the Ozarks frozen over on either side for years; this year it is actually frozen in Osage Beach and on the West Side. I have heard rumors of idiotic people who drove VW Bugs across the coves in winter when I was a child. I’ve never witnessed this personally. Even in the coves, I’m not sure I’d risk it. It does make for interesting photos though. I’m hoping house business will be finished sometime this summer and I’ll have a fabulous new yard/garden to blog about and Pin away about. The lake photo is from Old Hwy 5 at the bridge. 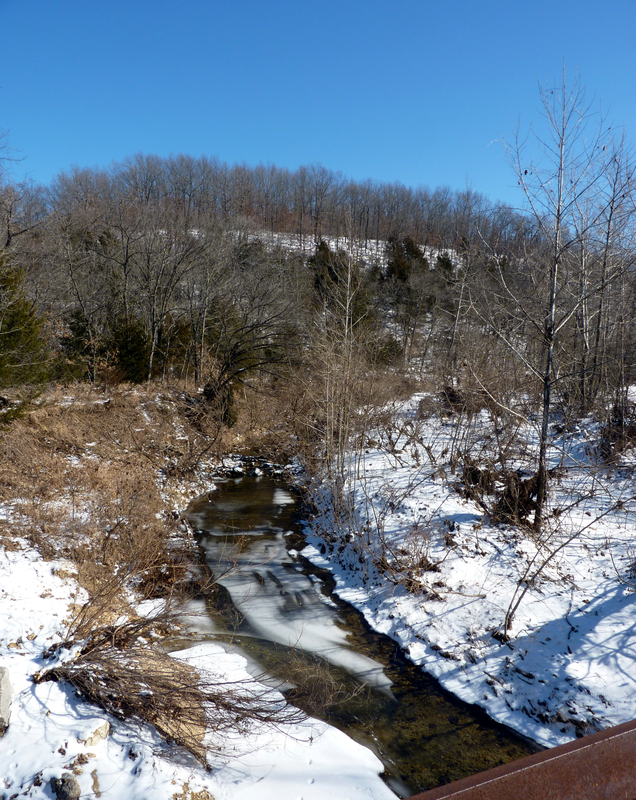 The other I took of the creek in Linn Creek from a friend’s bridge. 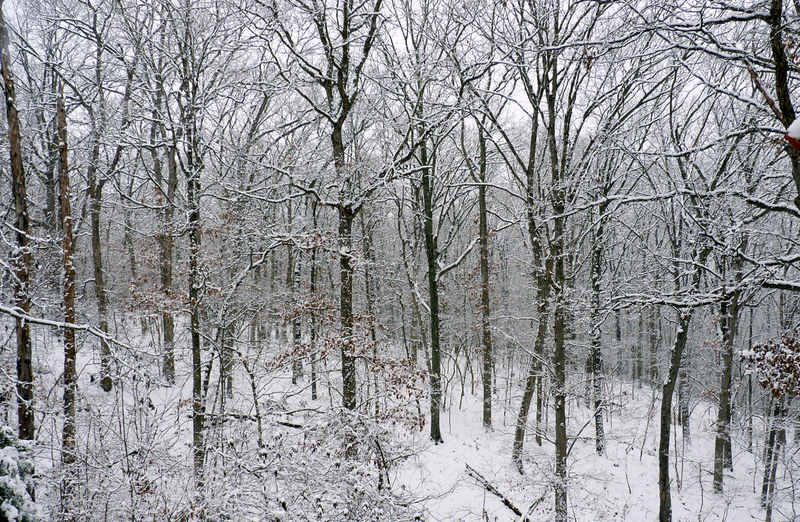 Categories: Photography Plants and Landscape | Tags: frozen creek, frozen lake ozarks, lake frozen, Lake of the Ozarks, Lake Ozarks, lake ozarks ice, lake ozarks snow, linn creek frozen, snow creek, winter creek, winter lake ozarks, winter water shots | Permalink. I just wanted to share a picture of them, since plants ARE a big part of this site and they ARE really gorgeous. And to think I used to avoid these beauties because I was convinced they are hard to grow. African violets are hard to grow. These are easier than cactus, give me spectacular blooms several times a year and look so freaking cool! Even the way the roots climb out of the pot is neat. They look as if they’ll just climb out, scamper across the desk and go for a stroll. And now you know why I have more plants than people around me. 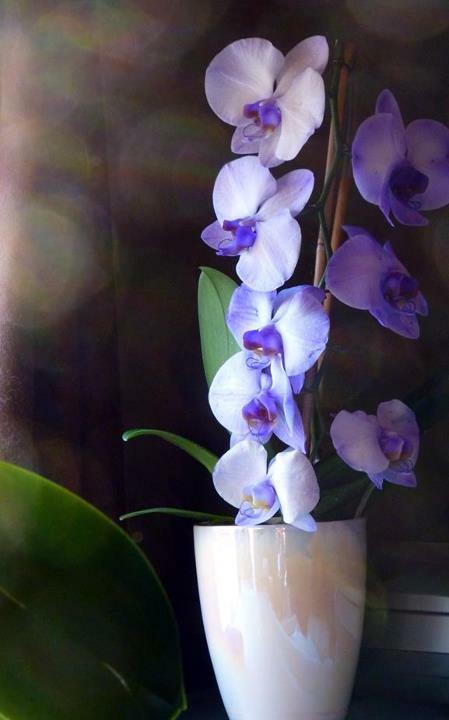 Categories: Photography Plants and Landscape | Tags: flowers on valentines day, orchid, orchids, purple orchid, valentine's, valentine's flowers | Permalink. 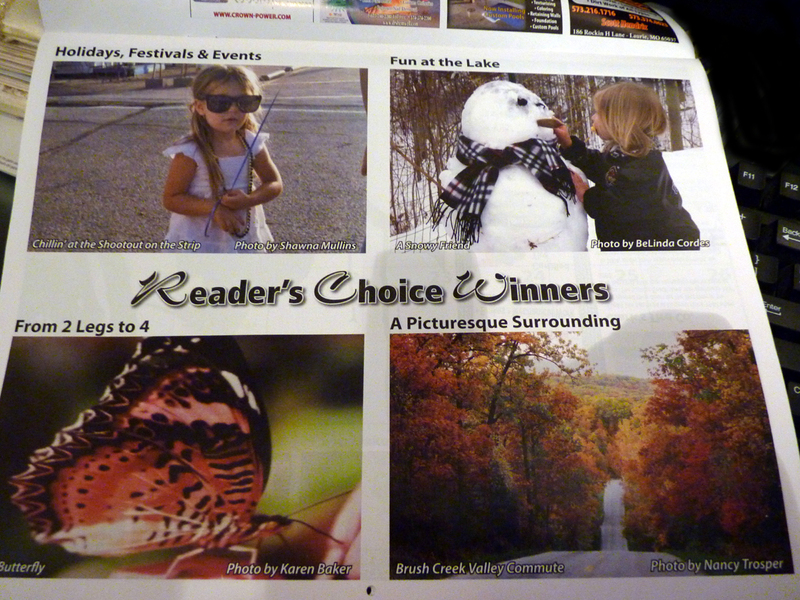 The one of the snowman and my daughter won a Reader’s Choice Award from the Westside Star’s vote poll of the best photos submitted for the 2013 calendar. 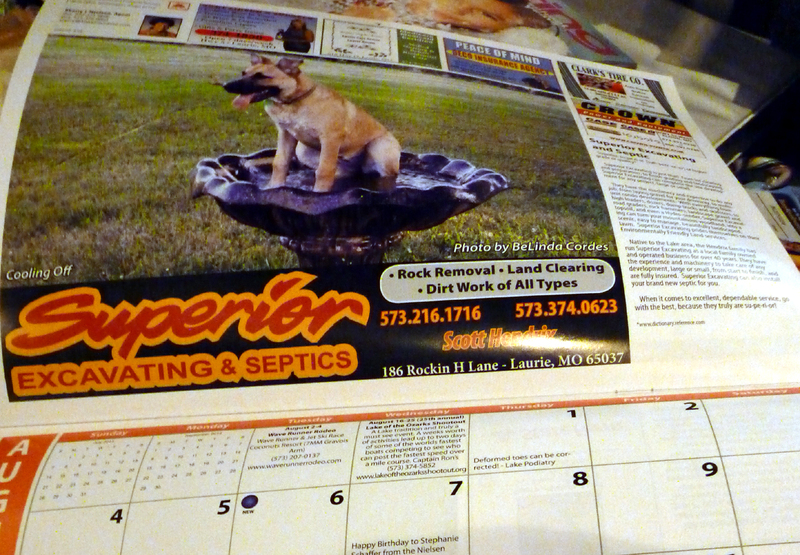 The photo of our dog, Olivia in Papa’s bird bath is featured for the month of August. 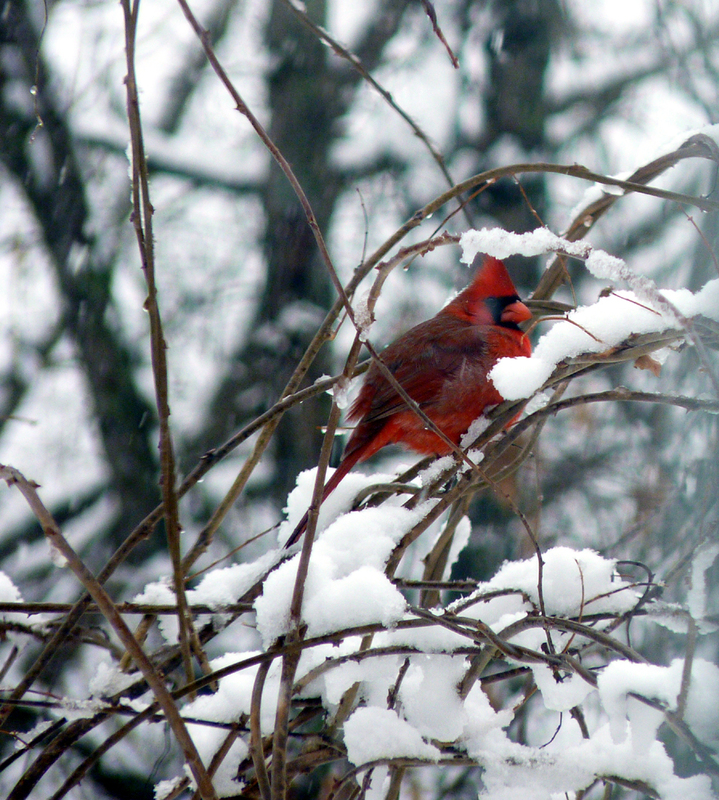 Categories: Photography Plants and Landscape, Uncategorized | Tags: BeLinda Cordes Lake of the Ozarks, BeLinda Cordes Westside Star Calendar, calendar photos, Lake of the Ozarks, Lake Ozarks Calendar, Photo Contest, photography, Westside Star | Permalink. Have a great holiday and a Happy New Year everyone. See you in 2013! 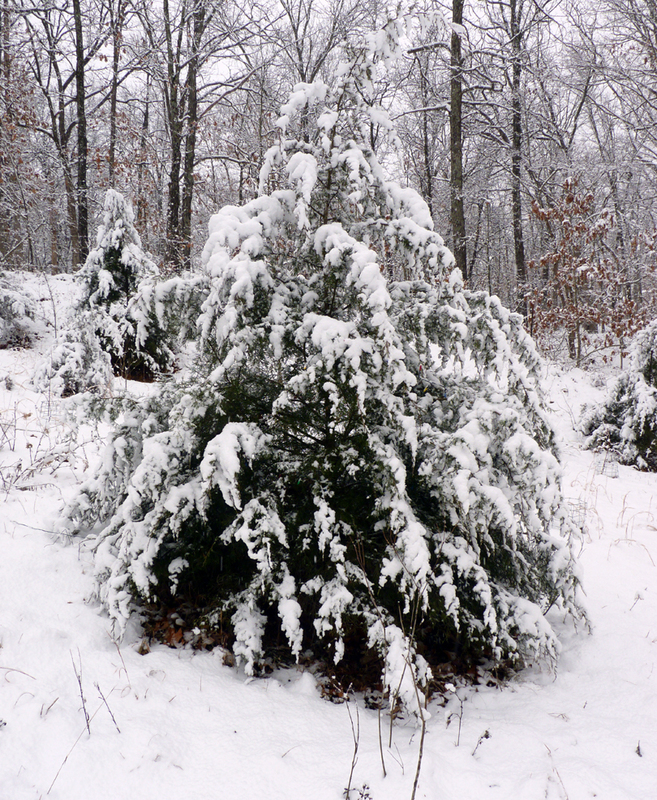 Categories: Photography Plants and Landscape, Uncategorized | Tags: cardinal in snow, happy new year, nature, new year, New Year's 2012, snow, snow on cedars, snow scene, snowy woods, winter | Permalink. Drought drought and oh yeah, drought. The part of my yard that I’m not watering every other day has long since died sometime back in June. 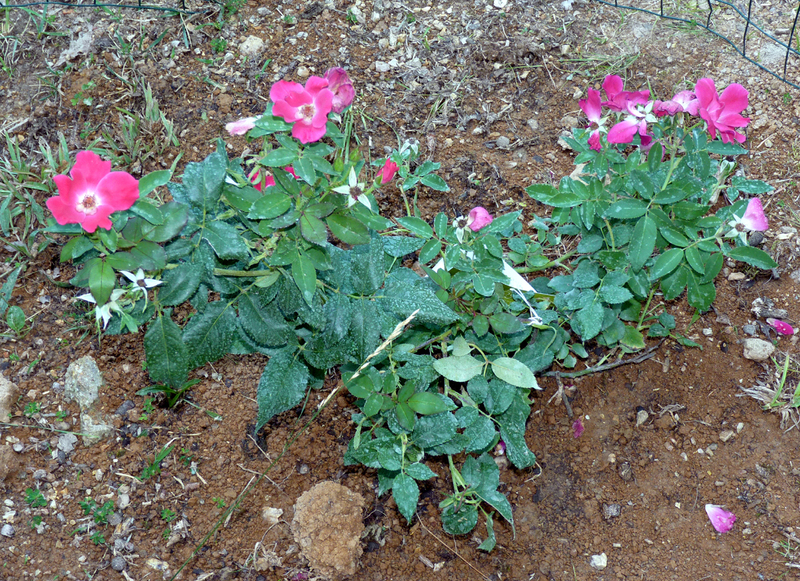 The rest has only survived because it was so well established, happened to be native weed type plants, or I watered it at least every other day. So since I’ve not been doing a lot in the yard due to the current state of no rain for MONTHS, I haven’t had much to write about in the way of projects. This little guy was hanging out on the side of our house one night. I thought to snap a picture of him then, but he had wandered off while I went in search of my camera. 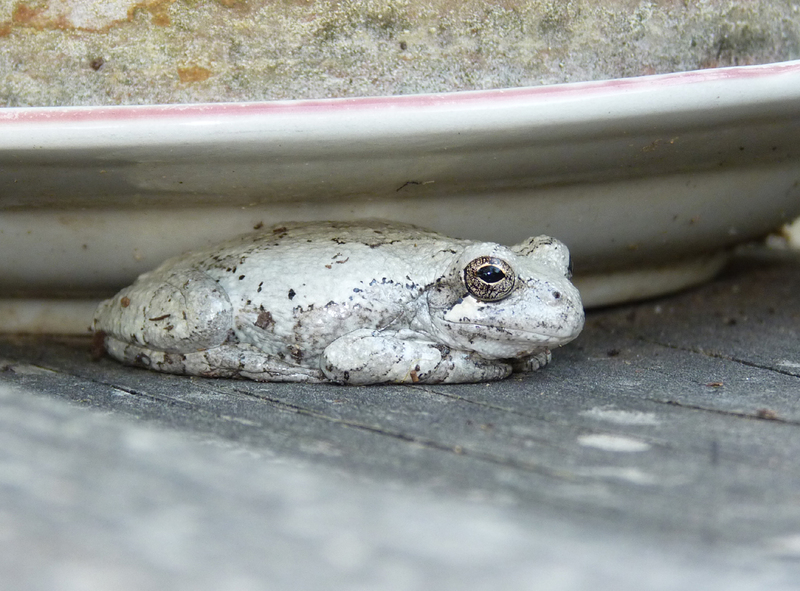 I discovered him visiting again while watering one evening. This time he sat still patiently under my cactus while I took several shots. Like most everyone else in the Midwest, I’ve spent the last two months wishing for rain and watching the sky. 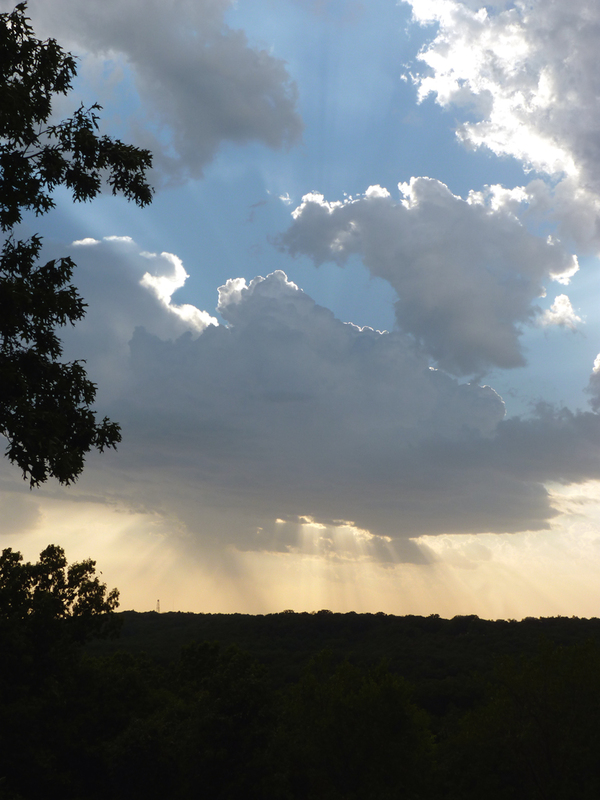 These clouds only produced a few sprinkles, but the way the sun was shining through them was pretty, so I stopped in Camdenton and snapped this pic. So far, Mo. DNR is predicting the current drought will remain or worsen between now and October. I’ll be working on some inside projects until then and hoping our well holds out until the rain returns! Categories: Photography Plants and Landscape, Uncategorized | Tags: knockout rose, rain clouds, white frog | Permalink. Last week our refrigerator quit. It was running along perfectly, got me through Easter weekend when all the family was here, then it just abruptly died. I suppose I should have been grateful it didn’t quit while I had $100 worth of Easter dinner inside, but living out of a cooler for several days is stressful regardless of the circumstances. This week, my mom is in the hospital. She’s doing fine and is supposed to be on her way home today. The personal drama of the last couple weeks meant that I did next to nothing in the yard and therefore had nothing to blog about. Categories: Photography Plants and Landscape | Tags: Ha Ha Tonka, Ha Ha Tonka Lake of the Ozarks, Ha Ha Tonka Springs, Ha Ha Tonka State Park, Lake of the Ozarks, Lake of the Ozarks MIssouri, Lake Ozarks | Permalink.